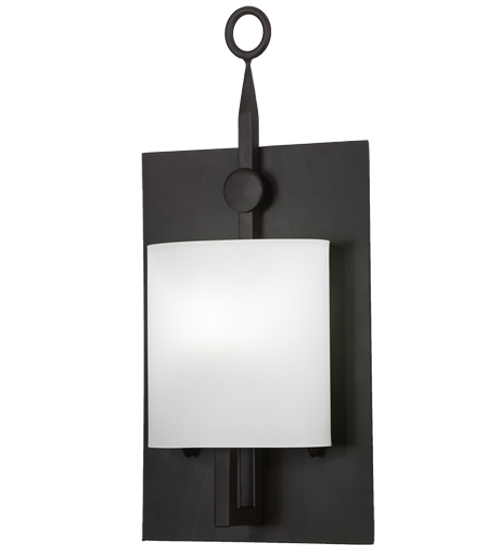 Description: A modern interpretation of a Gothic wall sconce accented with refined rustic details. Wakefield is an exquisite wall fixture which creates a soft ambient glow diffused through a curved White Opal Glass shade. The curved lens is embraced by hand-forged Iron hardware and decorative accents featured in an Oil Rubbed Bronze finish. Handcrafted by highly skilled artisans in our 180,000 square foot manufacturing facility in Yorkville, New York. Available in custom sizes, styles, colors and dimmable energy efficient lamping options. UL and cUL listed for damp and dry locations.